High definition videos/photos (HD) of spectacular Commonwealth Games 2010 opening ceremony held on 3rd Oct 2010. Singer A.R. 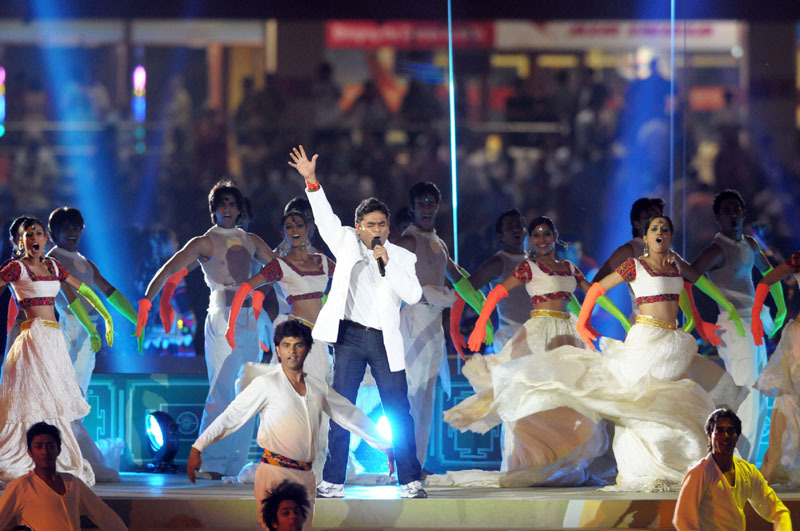 Rahman singing the theme song, at the opening ceremony of the 19th Commonwealth Games 2010-Delhi, at Jawaharlal Nehru Stadium, in New Delhi on October 03, 2010.